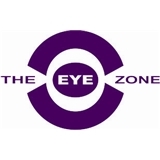 THE EYE ZONE (Dallas) - Book Appointment Online! The EYE ZONE is conveniently located in North Dallas, at the Southwest corner of Preston Road and Forest Lane. Our office is upstairs, above Penne Pomodoro and Mi Cocina. As a nominee for THE DALLAS OBSERVER's Best Eyewear Selection, we are known for our extensive collection of eyewear, with frames to suit all lifestyles and budgets. Our staff strives to provide first-rate, personalized service to all of our patients, and we look forward to seeing you in our office!